Lenovo Tab 4 10 Plus review: The Android-based answer to the iPad? It’s no secret that the tablet market is in slowdown, particularly for any tablets that aren’t iPads or Amazon Fire. But that doesn’t mean consumer electronic companies are all quitting. 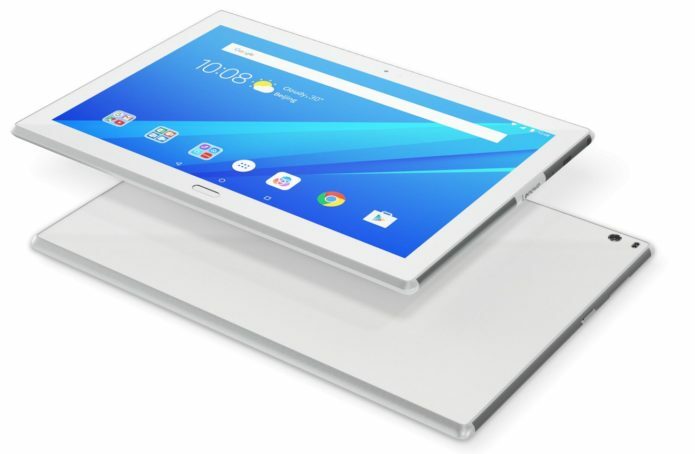 Lenovo is one manufacturer that has recently revamped its tablet lineup, now offering several versions of the Tab 4, in various sizes and at different price points. The most high-end in this lineup is the Tab 4 10 Plus – the 10.1-inch model, rather than the smaller 8-inch model – which comes in at around £300, to directly compete with Apple’s bottom-rung full-sized iPad. 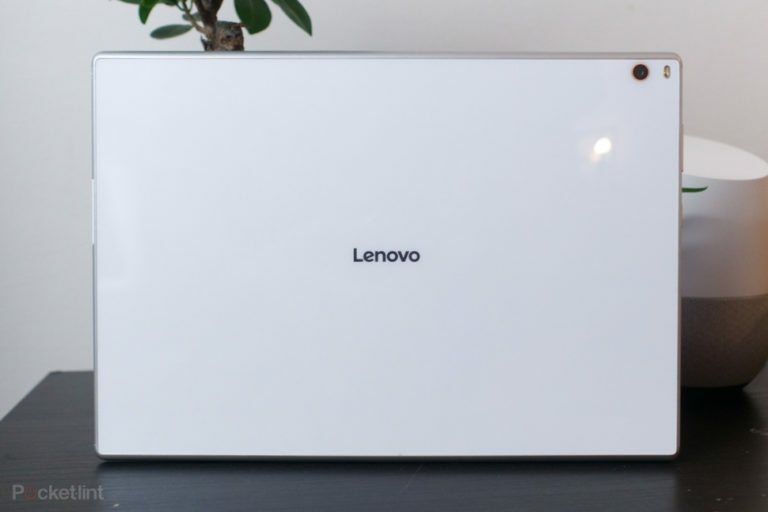 From a design perspective, there are some peculiarities in Lenovo’s choices, both in materials and in the layout of important elements. Rather than go with an all-metal back, or even a metal frame of any kind, Lenovo has combined plastic, metal and glass. The back is entirely covered in one single sheet of glossy glass which, in our review device’s case, is white. It’s matched on the front by a white bezel. Being glass on the back means you’ll need to be careful where you put it down. If it’s not completely sturdy and flat, there’s a possibility it will slide off – like some all-glass phones do from the arms of sofas, for example. The Lenovo found its own way to the floor a few times during our testing. 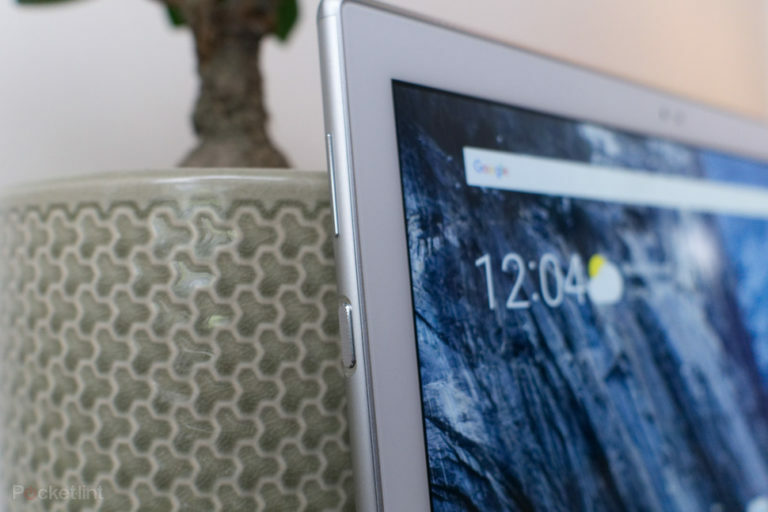 The frame around the tablet’s edges is almost all plastic – which is where it gets a little weird. In smartphones, for example – where you often see metal and plastic combined – there’s not usually much plastic used, typically only to act as radio transparent “windows” for the cellular and Wi-Fi connections. In this Lenovo tablet there’s more plastic than metal, which doesn’t feel as “Plus” as its name suggests. Holding the tablet in portrait mode, there’s a rounded metal portion on the bottom and top edges. One end of this is home to the power and volume buttons, the other houses the USB Type-C port, headphone jack and the microSD card tray (which is hiding under a Lenovo-branded flap). The only other issue with plastic is that it’s just not as sturdy as a metal frame might be. To call it bendy would be an exaggeration, but there’s definitely more give in it than you’d find in an aluminium frame. Similarly, the glass back has some give, too, giving it an almost hollow feel. We’d have liked an all-metal frame to give it a little more rigidity, making it feel a bit more premium. We found the placement of the various ports and buttons to be frustrating too. 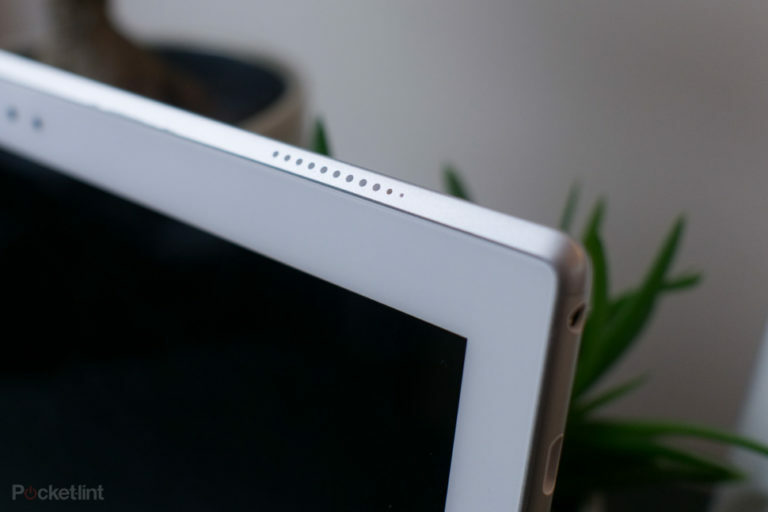 Holding the tablet in landscape – with the front-facing camera on the top edge and the fingerprint sensor on the bottom – the power button is right where our left index finger naturally sits. While it’s not a problem most of the time, there was plenty an occasion when we accidentally locked the device. On the whole, it feels like a few too many compromises were made in the Tab 4 10 Plus – and perhaps not enough thought put into layout. There’s no doubting this Lenovo was primarily built for the mobile Netflix binge-watcher. Well, maybe not exclusively Netflix. But video in general. Unlike the status quo, Lenovo’s 10-inch tablet has an 8:5 (16:10), 1920 x 1200 resolution display. This longer display ratio means it’s great for watching movies, but it’s not quite so narrow as to be useless for everything else. A longer screen means that letterboxing around videos of various aspect ratios is generally kept to a minimum. Whether you’re watching traditional 16:9 widescreen video or more modern 18:9, those black bars aren’t as distracting as they are on more square 4:3 ratio tablets. Being LCD based means the screen doesn’t deliver especially vibrant colours, or deep blacks and high contrast like an LED or OLED panel can deliver. However, when looking at it head on, the Tab 4 10 is pleasant enough to use. Colours are natural and seem fairly accurate, viewing angles are good, although with a pixel density of 224ppi we found that fine text and curved edges didn’t look perfectly sharp or smooth. At arm’s length, however, it’s perfectly good for watching HD content or playing games. For the most part, Lenovo has shown restraint in the software department – without throwing everything and the kitchen sink at it, which can overcomplicate use. The overall user interface looks and feels like Google’s regular Android operating system. The only differences are very slight – things like the app drawer having different-coloured scrollbar down the right edge, and the clock/weather widget being Lenovo’s own design. However, there are plenty of pre-installed apps from Lenovo, most of which can be uninstalled. Microsoft’s entire suite is there: Excel, PowerPoint, Word, Outlook, OneNote, Skype and OneDrive. Lenovo has included the SYNCit HD and SHAREit apps, used for backing-up the tablet and sharing information and files between devices. You also get a pre-installed guide detailing everything you need to know about the tablet. One interesting element is the ability to switch between three different interfaces. The first, named the Productivity Interface, is designed to be used with an optional keyboard, and shifts the main virtual Android buttons to the corner of the display, making them easier to reach when typing. Second is the default Android interface, while the third is a Kids Account interface. This last one, Kids Account, is similar to others we’ve seen – it essentially allows parents to create a safe space designed for use by children. You can limit how much time can be spent on any individual child’s account, as well as how much time there needs to be between sessions. 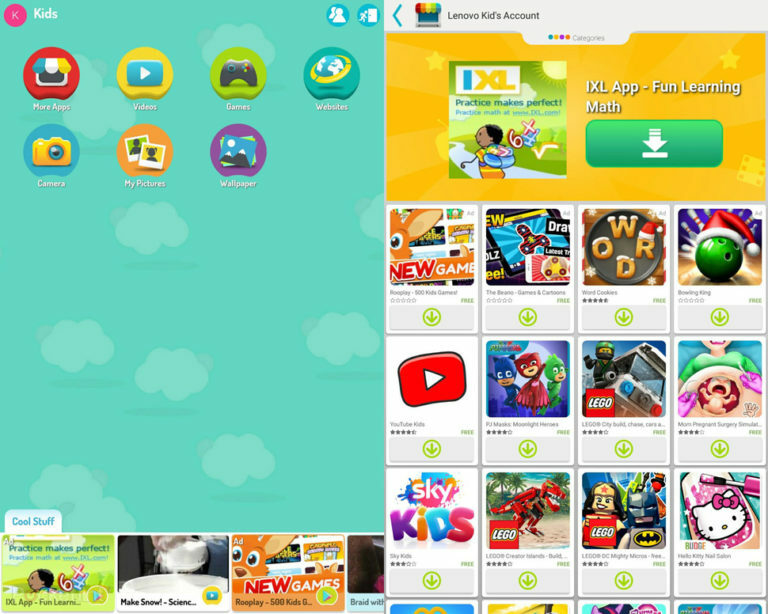 Once logged in, there’s a very child-friendly, brightly coloured user interface, with pre-selected apps and videos that have been passed as age appropriate. Just as we’ve found with most Snapdragon 625 equipped devices, the Lenovo Tab 4 10 Plus copes well with pretty much any regular daily task. Opening folders, switching between apps and moving around the interface is a generally hassle-free and smooth experience. Even multitasking with two apps running side-by-side seemed not to be a problem for the tablet. Even when testing games like Real Racing 3, which is fairly demanding, didn’t prove to be a problem for the Lenovo tablet. There’s very little frame-skipping within the game. The only thing we did find was the time it took to load stages within the game took a little longer than they might on a more powerful device. Sound performance is fine too, although not mind-blowing. There are two front-firing speakers built into the frame of the Lenovo tablet, which promise to offer stereo audio and hold the prestigious Dolby Atmos brand name. They’re plenty loud enough, but we couldn’t discern they were any better than any other tablet speakers, really. What’s more, unless you hold the tablet very close to your face, you’re unlikely to benefit from a true stereo experience. Battery life from the Tab 4 10 Plus is something of a dichotomy. On the one hand, it has really impressive standby time thanks to Android Nougat’s enhanced Doze mode. It can go a whole night, powered on, in standby mode and only lose three or four per cent from its battery. Start using it for anything demanding though, and the battery soon drains. Gaming or watching video can drain the entire battery from 100 to zero in around six or seven hours. That’s a far cry from the Apple-branded competition’s 10-hour battery life. 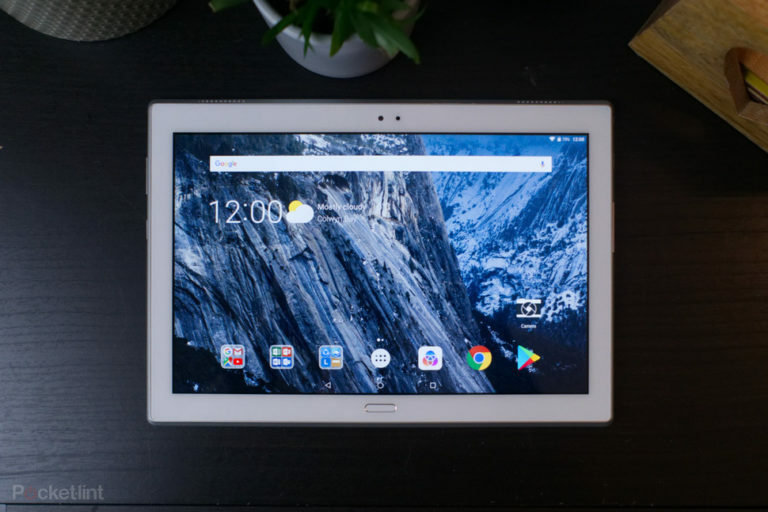 The tablet market is in slowdown because people don’t upgrade such products very often. There needs to be a really significant reason to fork out extra cash for the latest and greatest. The general rule of thumb is that buyers either go iPad, or they buy a very cheap Amazon tablet. Android tablets in particular have been slow to improve, but Lenovo’s Tab 4 10 Plus is as good as any we’ve seen in recent years. In the elements that really matter – like screen quality and general performance – the Tab 4 10 Plus is perfectly adequate for a mid-range tablet. Our only complaints are fairly minor in the grand scheme of things. We’d like a more sensible port and button layout, and more efficient battery usage. As a media consumption machine the Tab 4 10 Plus fits in comfortably with day-to-day life, offering an easy-to-use, simple and reliable platform for watching Netflix in bed, or keeping up your progress in Real Racing 3. However, it’s simply not as well built or considered as an iPad, despite costing the same sum of money. 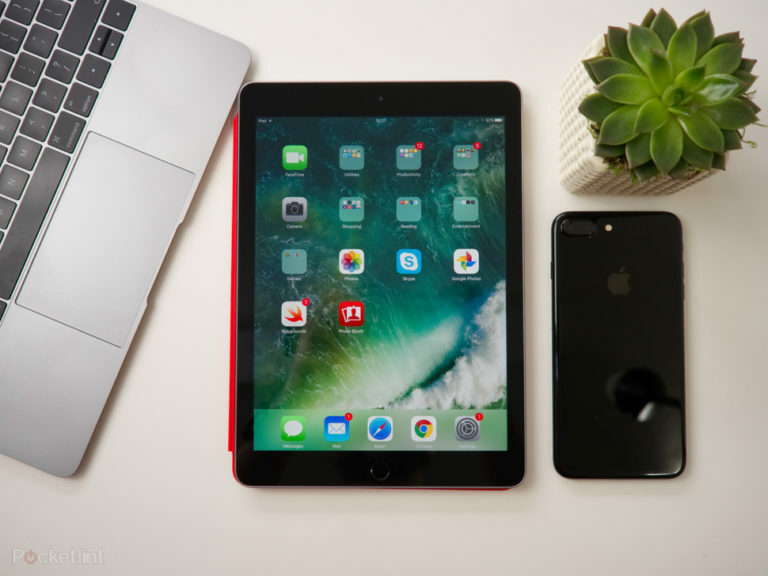 Apple’s most recent addition to the entry-level iPad range was launched early on in 2017, and replaced the outgoing iPad Air. 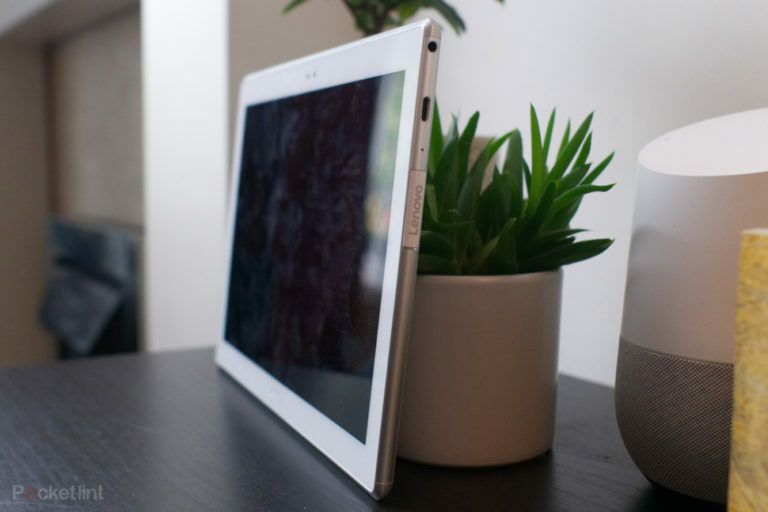 It’s a no frills, solid, attractive tablet that does everything you’d need it to. What’s more, iOS’ App Store still has far more better-optimised apps for the bigger screens. The Razer Blade 15 just got 2 huge upgrades – but do we really need a 240Hz laptop?